Day 13: May 9, 2015. Today is our last excursion. 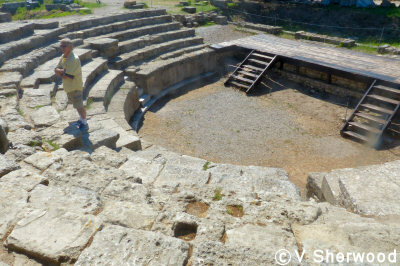 We docked in Canakkale and took a bus to Troy. Troy is a difficult site. 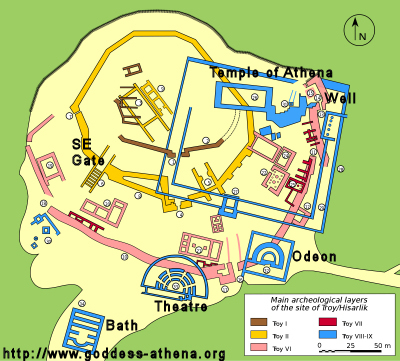 It was founded around 3000 BC and has at least 9 cities built one on top of the other. 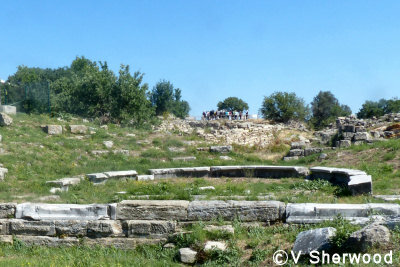 Homer's Troy was probably Level 7. 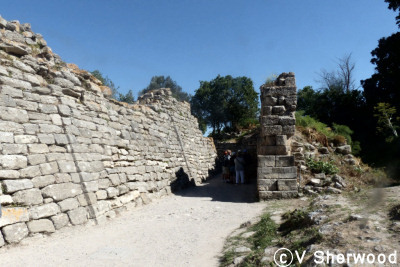 Level 9 was built by the Romans in the time of Caesar Augustus. 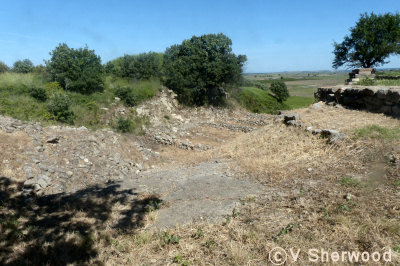 The city was abandoned in Byzantine times. With so many layers, the site is quite confusing. 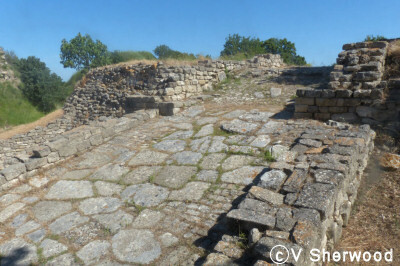 Excavations at Troy were begun in 1865 by the English archaeologist Frank Calvert. 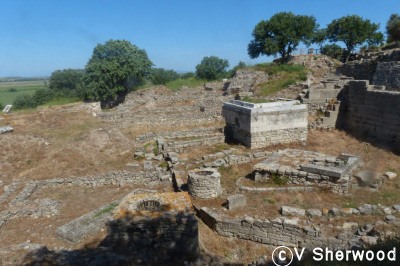 In 1868, Heinrich Schliemann began excavating there after meeting Calvert in Canakkale. 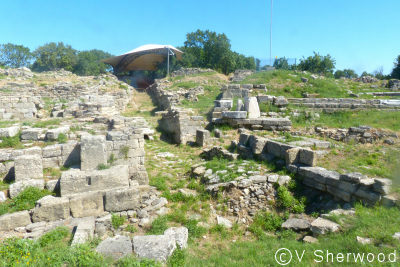 Schliemann believed that Level 2 was the Troy of Homer's Illiad. The southeast tower and the edge of the ramp leading up to the gate. The paved ramp up to the gate. Looking down the road to the harbour beyond the Plain of Illium. 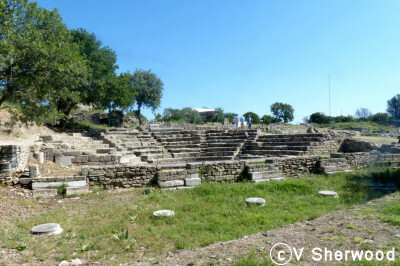 Roman theatre built in the time of Augustus. The odeon looking down to the stage. It would have been a roofed building for concerts and meetings. The Trojan acropolis. 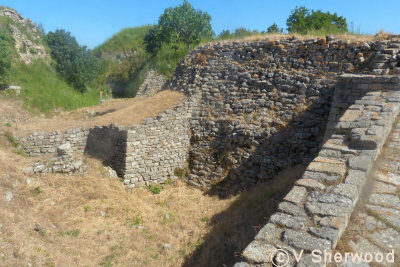 It is the oldest part of Troy. 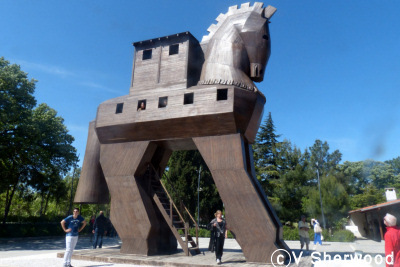 A model of the famous Trojan Horse.